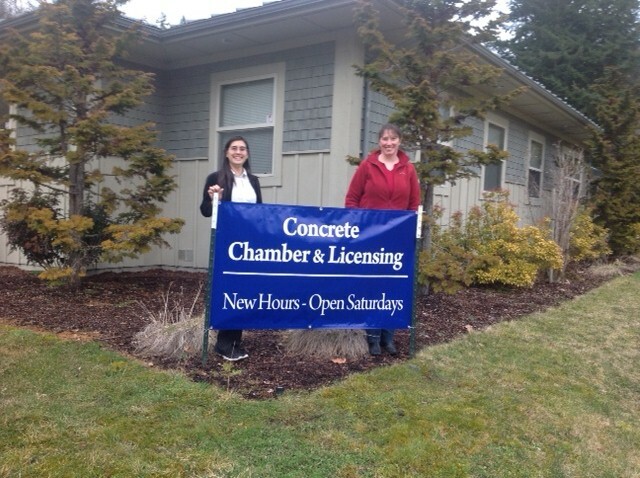 The Concrete Chamber of Commerce operates a Department of Licensing sub-agency, where you can renew your car tabs, transfer titles, and replace license plates, etc. Special thanks to Jeanne Youngquist and her staff at the Skagit County Auditor’s Office for all their efforts in making this service possible in Concrete. Use the website below to renew your tabs online. They can be picked up at our office or sent to your mailbox on the same day!